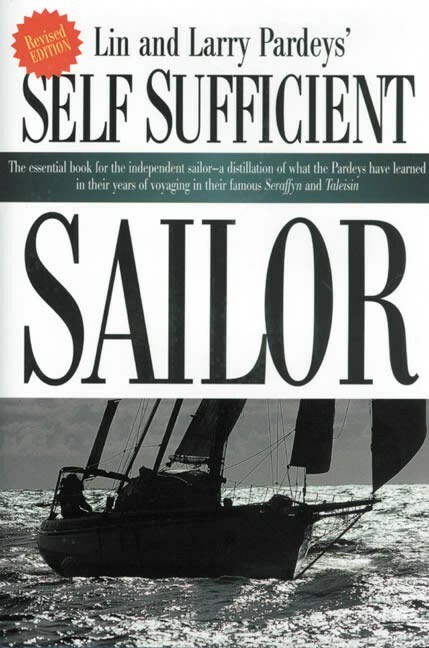 To me the theme of this book is: Things that you better think about as you consider a life afloat. How do you get some experience in what living aboard and traveling is like? Do you really need a lot of money? The answer is no on that one if you make the right decisions. How much boat does a couple really need? Here again they make a good case that the boat that is modest enough to be fun to sail and fun to maintain will ultimately be a heck of a lot nicer boat to live aboard than a big vessel which tries to stuff aboard every consumer "convenience" that Madison Avenue wants to convince you that you need. Have you really thought about engines? Do you absolutely need one? What is a sensible type of choice? If you are a person whose spouse isn't so sure about this life have you really thought about how to introduce them to living aboard and voyaging and how to make sure that they are full partners in the venture rather than an after thought on your part? How do you make sure that you can travel with confidence to those highly desirable remote places of wonder and beauty without a litany of constant breakdowns and expensive time consuming repairs that cut into your cruising time? Have you realized that the anchoring systems aboard liveaboard and voyaging yachts, don't look like those of weekend marina dwellers? Do you understand that if you don't get the real gear, you'll have constant and debilitating battles with anchoring? Believe us proper anchoring and proper anchoring gear is very nearly a lost art these days. That's pretty sad considering how simple it should be. We and other long time liveaboards come into an anchorage, quietly head into the wind, and lower a heavy anchor on chain as we fall back. Then we see people come in and set as many as 5 tiny anchors on threadlike nylon rodes in a spider web pattern setting each one with a furious reversal of an inboard engine. If it comes on to blow in the night, we have no tension and our only worry is the people with the tiny anchors set by often bizarre contortions, who regularly come "unhooked" and go blundering about the anchorage in the dark. Listen to the Pardeys on proper ground tackle and sleep peacefully at night. We don't want to see you out there dragging down on us in the middle of the night in a 60' boat with a 25 pound anchor on 3/8" line.